ATLANTIC, IA (KTRK) -- A Ben Carson campaign volunteer died after a car crash in western Iowa on Tuesday morning. The accident prompted the Republican presidential candidate to temporarily suspend his campaign. Ben Carson made the announcement on Twitter and his campaign released a statement. According to the Carson campaign, a van transporting three student volunteers and a campaign field director, "hit a patch of ice and flipped on its side where it was struck by another vehicle." One student volunteer, Branden Joplin, died from his injuries at the trauma center in the University of Nebraska Medical Center. The others were treated at a hospital in Atlantic, Iowa, and will be released later Tuesday. Carson cancelled all campaign stops Tuesday and Wednesday. 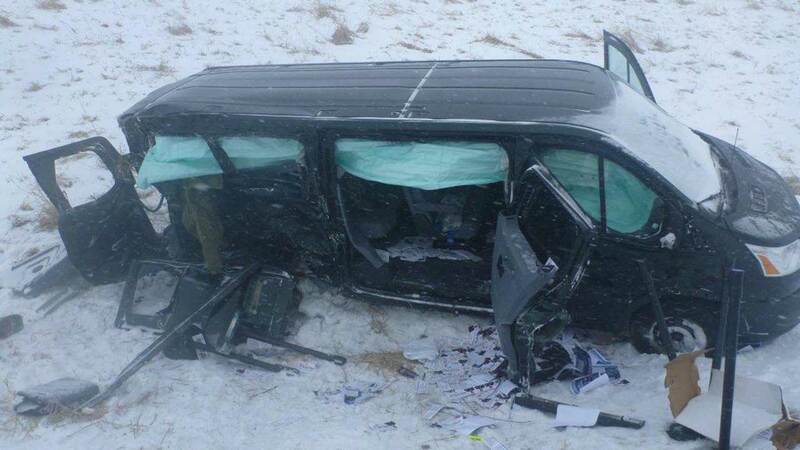 The Iowa Department of Transportation reported highways around Atlantic were completely covered in ice or snow at the time of the crash.